The Dainere's Rainbow Team would like to wish eveyone many blessings forEaster; may this be a time that you treasure your loved ones and how precious life is. These are very thoughtful words about Easter penned by Dainere in 2013. "Wishing everyone a very Happy Easter, I hope it is a time you fondly share with your family and friends and that The Easter Bunny brings you your favourite chocolates! What is the real meaning of Easter though? Well, I believe that Easter is a time to celebrate the promise of life in the face of death. I think that Easter celebrations also reflect on peace and forgiveness which has come out of aggression. It should be a time for thinking about suffering, injustice and hardship and how we, as an individual can show compassion and reach out to make a difference". This Easter you can reach out and make a difference to those who are suffering by making a donation to bring hope and create change for children diagnosed with brain cancer or sharing facts to elevate a much greater awareness of this truly insidious disease. What did you do to celebrate your 21st Birthday? 8th of February is what should have been a day where Dainere Celebrated her 21st Birthday. Tragically because of such a cruel, insidious and horrendous disease - brain cancer, Dainere had her future ripped away from her. 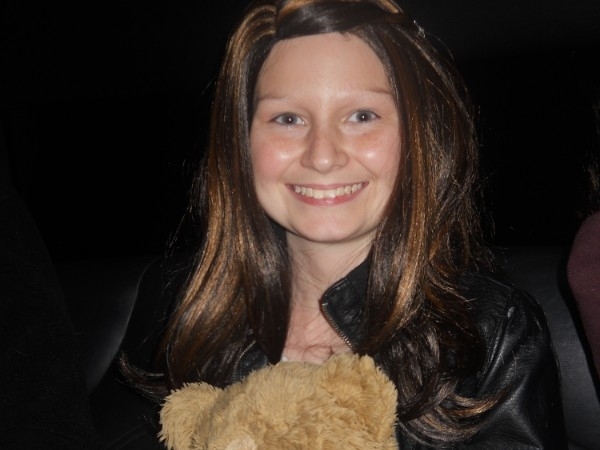 She is not able to Celebrate her 21st Birthday and an entire classroom of children each year in Australia who have their young lives stolen to brain cancer will never get to celebrate their 21st Birthday's either. Dainere did have hopes and dreams and during her short life, she achieved much, much more than many of us ever will in our entire long lives. She was always such a deeply caring and exceptionally giving girl, who would always put others first, wanting to take care of and bring happiness and love to others. So her selfless, tireless, inspiring, determined, extraordinary and courageous work to give hope and create change for others came as absolutely no suprise. 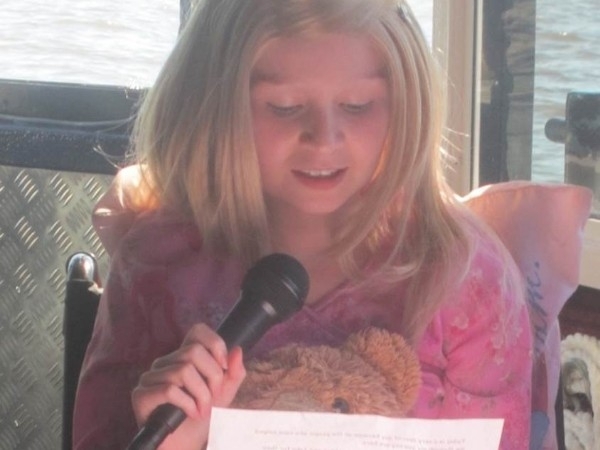 Dainere is not able to celebrate her 21st Birthday, however her hopes and dreams can be kept alive by having as many people as possible speak out and reach out to be a voice and a advocate to increase awareness of paediatric brain tumours and to always seek ways to support and raise funds for vital research within the Community. 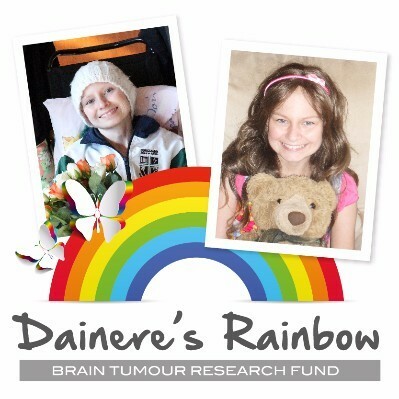 To honour and continue Dainere's legacy for her 21st Birthday and beyond we invitie you to and would be so humbled with you would please consider sharing brain tumour facts, symptom awareness, about the doctors and nurses who work with such devotion, about Dainere and Dainere's Rainbow on social media, with your family and within the workplace or make a small donation for Dainere's 21st Birthday, receive a tax deductible receipt and know that your are bringing new hope for every single child diagnosed with a brain tumour. Every single dollar really does make a difference is is genuinely appreciated. It is often a mammoth task to elevate awareness within the Community about paediatric brain tumours, as it affects the bodies most vital organ, it can often be a topic that is confronting, frightening or too shocking. During 2019 we hope that we can continue to elevate awareness as through doing this there is the hope of increased funds raised and donations for the dedicated team of researchers who make it their life goal to give children the chance of a cure. Did you know that paediatric brain tumours, which cover children 0-19 are often far more advanced and aggressive at diagnosis, requiring far more intensive and toxic treatment than adults. The result of this is horrific effects on rapidly growing and developing bodies. Almost all paediatric brain tumour survivors will suffer acute, chronic or terminal conditions as a direct consequence of these treatments. It has been identified that Clinical trials and improved access to novel therapies are crucial in changing the outcomes and effects for children diagnosed with brain tumours . However, financial support of childhood cancer trials and access to new treatments is heavily reliant on philanthropic organisations, which have mostly been set up by families who have lost their children to this disease. It is heartbreaking to know that doctors and researchers who have dedicated their lives to fight for the lives of children are constantly struggling to secure the funds to continue their crucial work. Beautiful and inspiring words from Dainere. "Wouldn't it be splendiferous if the Christmas Spirit was alive in everyone's hearts forever, not just for one day. People would be loving, thoughtful, giving, inclusive, tolerant and joyful all year through. Remember the kindness you show and the good you do for others sparks a light from within and leaves you with a warm glow that makes you feel good in yourself." In the lead up to Christmas, a time of love, family, joy, giving and sharing, the thought of another Christmas without our most beloved Dainere is just ever so painful and heartbreaking. When our most precious, selfless, inspirational and courageous angel Dainere was going through so much pain and knowing she did not have much more time on Earth, she did not feel sorry for herself nor did she want anything for herself. 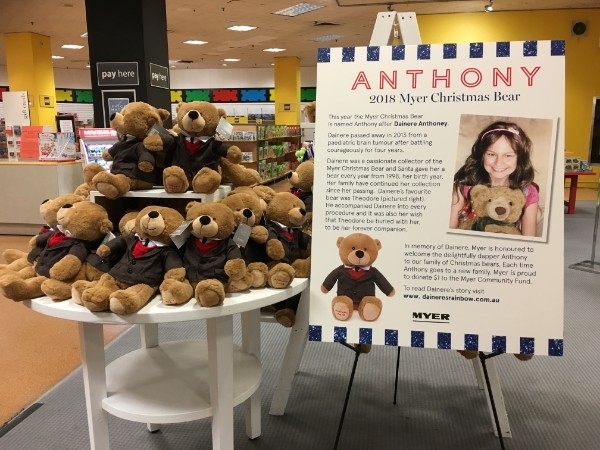 Instead she chose to want to bring love, joy and Christmas Spirit into the lives and hearts of the Community and raise the so desperately needed awareness and funds to go towards one day finding a cure for the disease she knew would take her young life. We hope that during this season of compassion, love and giving that we can really make a difference to awareness about paediatric brain tumours as well as raise vital funds to find to give hope, improve outcomes, support crucial research and see a cure so no other families or children have to suffer the excruciating pain of loss from this disease in the future. To give the Gift of Hope for this number one disease killer of children in Australia is the greatest and most special gift you can ever give. If you have a little extra change this festive season please consider making a small donation to Dainere's Rainbow, it means more than words can express. Wishing everyone a Merry and Blessed Christmas and peace, love, hope and joy for 2019. Dainere, in a life too short, a life too fragile, but a life of tremendous influence selflessly, passionately and tirelessly advocated for greater awareness in the community about paediatric brain tumours. Her determination and passion to raise funds for research and to inspire others with her constant message, “...together we can take action, give hope and create change...” knew no bounds and have influenced people from the very young to the elderly, from those with many life experiences to those just beginning their journey from all corners of the globe. Dainere remains an example of making the world a better place she showed such great compassion, love, generosity, bravery, selflessness, positivity, joy and determination. She was determined and grateful for every day she was here. You can help to continue Dainere's truly incredible work by making a donation, every single contribution means so much to every child battling this most horrendous disease. September is International Childhood Cancer Awareness Month. It is represented by a Gold Ribbon. To elevate awareness of childhood cancer we encourage everyone to wear or display a Gold Ribbon throughout the month. Everyday three parents will hear the devastating words "Your child has cancer". 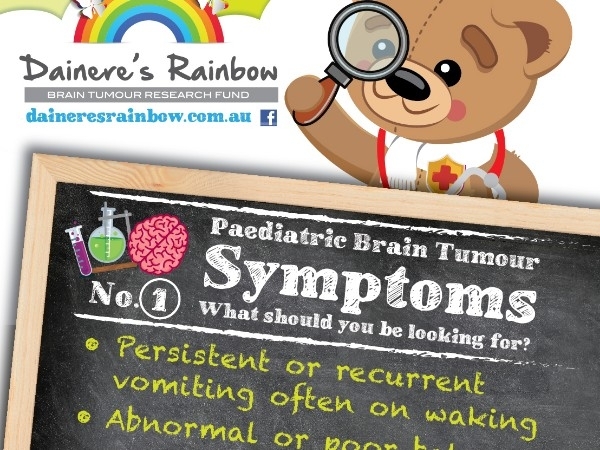 Paediatric brain cancer is the number one disease killer of precious children in Australia. It is only through community funding that research can continue to give children diagnosed with this insidious disease the chance of survival. Every single child deserves to live a long and happy life, so this September please consider giving to give hope and create change. 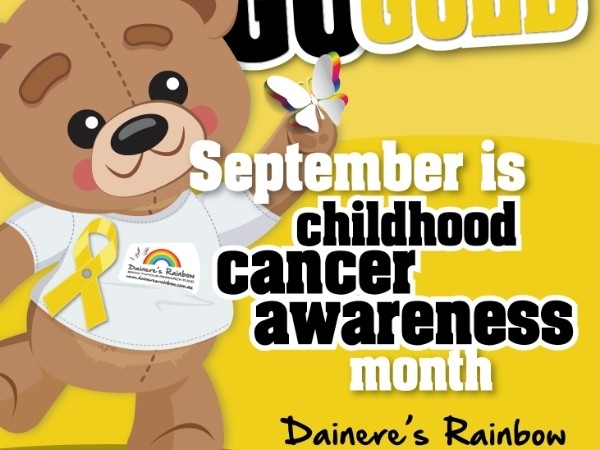 Through elevating significant awareness, raising funds and providing a support network The Dainere’s Rainbow Team are constantly working together to bring new hope to all children diagnosed with paediatric brain tumours. We wish to bring a ray of light in the form of improved treatment options, individualised treatment, access to clinical trials, new treatment options with less devastating and long-term side effects, the chance of a future and the dream of a cure for what is the number one disease killer of children in Australia. When people hear the word “scary” or “spooky” they may first think of monsters, clowns, maybe even sharks. Or perhaps one’s mind would go to what they fear; a fear of the dark, a fear of heights, a fear of small spaces or a fear of spiders. All these things I have mentioned and more are indeed things which can easily scare people. Yet people seem to so easily overlook something so vicious and cruel in this world which is truly terrifying. Imagine you are a child again. Now imagine persistent vomiting of a morning, poor balance and co-ordination, unexplained weight loss or gain and abnormal eye movements and blurred or double vision have all become a part of your every day. Imagine getting told by a doctor that these are all some of the symptoms of a brain tumour and that you do in fact have a brain tumour. Imagine going through long surgeries and endless chemotherapy and radiotherapy treatments which give you both short and long-term side effects and not to forget the never-ending blood transfusions and tests. Imagine after all these treatments and procedures still being told you will not survive and that your brain tumour will be taking your life seemingly before it has even begun. If you are like me, it is impossible to even begin to imagine what that is like. Through the 4 years Dainere battled with her brain tumour, I watched her in awe as she went through every day, no matter how bad she was feeling, with such courage, strength and always a smile on her face. Brain tumours are the most common form of solid tumours amongst children. Brain cancer kills more children in Australia than any other disease. The survival rates for brain cancer are low and have hardly changed in over 30 years. This is what is truly terrifying. I don’t think anybody could not fear the facts of childhood brain tumours. But I am not saying all this to scare you, I am here to remind everyone how important it is to raise awareness and funds for Paediatric Brain Tumours. A little about the type of brain tumour that Dainere had, hers was catergorised as high risk. Medulloblastoma (PNET) is the most common brain tumour of childhood, representing about 20% of all paediatric brain tumours. They are most common in children between 4 and 10 and are slightly more common in boys than girls. These tumours typically arise in the middle of the cerebellum, interfering with the flow of cerebrospinal fluid and causing hydrocephalus. Medulloblastoma is highly malignant and aggressive and can spread to other parts of the brain and spine through the cerebrospinal fluid. Treatment for Medulloblastoma is usually surgical removal, followed by high doses of radiation of the entire head and spinal cord and high dose chemotherapy with stem cell rescue. Medulloblastoma is classified as low or high risk with signifcantly lower survival rates for high risk patients and a greater chance of a recurrence. 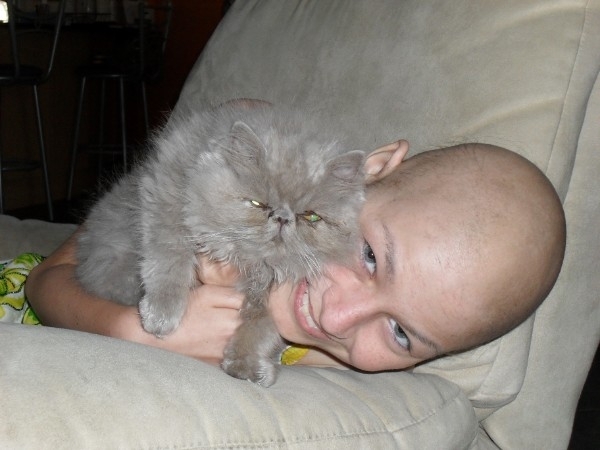 Recurrent Medulloblastoma has long been considered universally fatal. In spite of attempts to improve its treatment, only rarely have long term survivors been documented in the world's medical literature, there is no established treatment for its recurrence. A donation to Dainere's Rainbow gives hope of improved outcomes for all children diagnosed with this most insidious disease. Wishing everyone a Merry and Blessed Christmas and peace, love, hope and joy for 2018. Medulloblastoma is classified as low or high risk with lower survival rates for high risk patients and a greater chance of a recurrence. Dainere Monique Anthoney was born on the 8th February 1998 a happy, healthy baby. 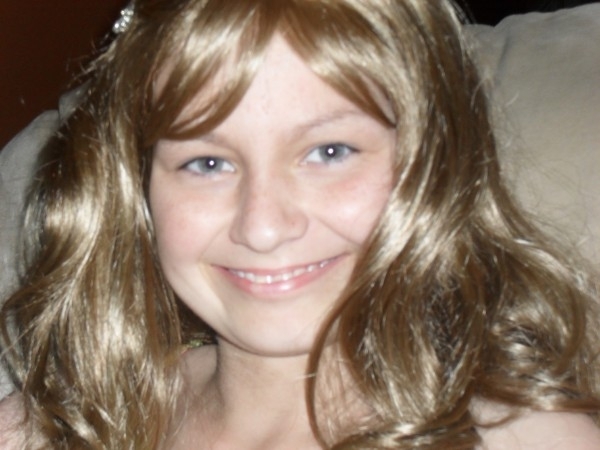 Then her world was turned upside down in 2009 when she was diagnosed with High Risk Medulloblastoma, she endured a ten hour surgery, high dose radiation and high dose chemotherapy with autogluous stem cell transplants. Then in February 2012, she suffered an inoperable and incurable recurrence of the disease in her spine, with palliative care being the only treatment available and tragically on 24th June 2013 she had her precious young life stolen by this horrific disease. 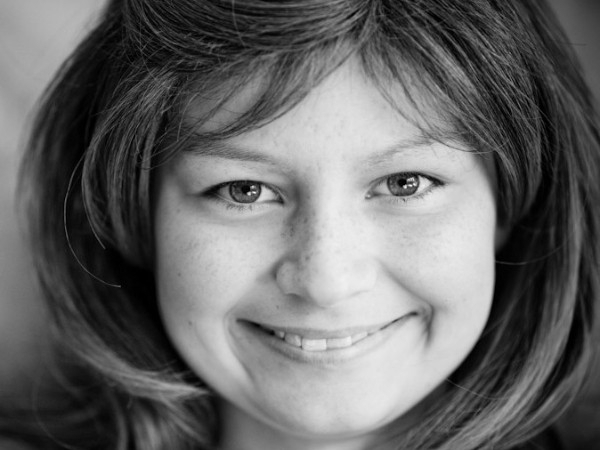 Dainere was the most courageous, selfless and inspiring young person you could ever meet, she worked passionately and tirelessly during her short life to advocate for and to elevate significant awareness and funds for research for paediatric brain tumours. Her greatest wish in life was that no children in the future would have to suffer as she did and that one day a cure for this horrendous disease will be found. 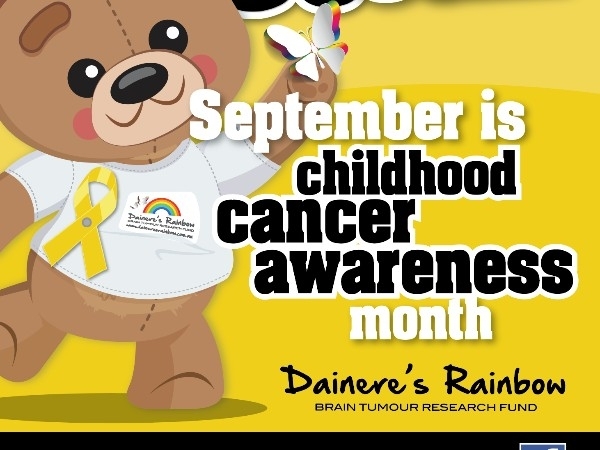 Dainere’s Rainbow Brain Tumour Research Fund maintains a lifetime commitment to helping eradicate this number one cancer cause of death in children. 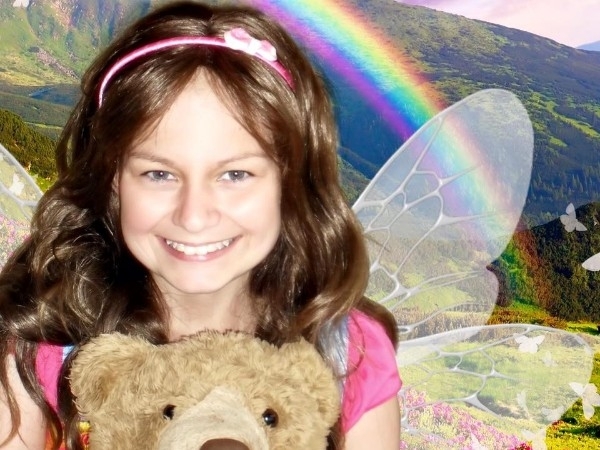 We are dedicated to raising significant awareness of paediatric brain tumours and raising money to fund crucial brain tumour research at Sydney Children's Hospital Kids Cancer Centre in memory of and as a legacy to our most beloved daughter and sister, Dainere and hopefully seeing her greatest wish in life become a reality. In honour of our two precious children - Dainere and Mitchell, whose wisdom, spirit and courage will inspire us always. As requested by Kel O'Rourke a special donation to a truly worthy Charity doing wonderful things in the Canberra Community. 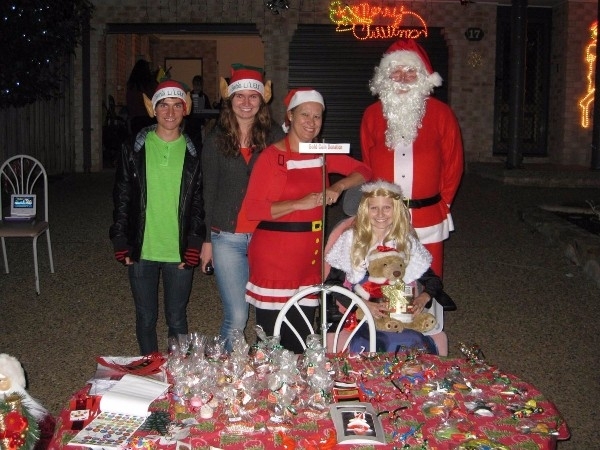 Students from year 6 at Forrest Primary school organised a fundraiser for Daniere’s Rainbow. We got the whole school to dress in the colours of the rainbow. We have been collecting bottles for the 10c refunds. We cashed them in and wanted to donate that to a very worthy cause. In memory of Dainere whose thoughtful insights, radiant smile and selfless fortitude lit up our English class. I thought it would be nice donating to such a worthy charity. I hope this small donation can make a big difference. In loving memory of my beautiful grand daughter, Dainere, who was taken from us on 24 June 5 years ago. In loving memory of my beautiful grand daughter Dainere who would be turning 20 on 8 February had she not been taken from us too soon. In loving memory of my beautiful grand daughter at this very special time of the year. Dainere especially loved Christmas and the beautiful lights. Remember my beautiful grand daughter on the anniversary of her passing. Taken too young but she did leave many precious memories. I just turned 21 last month and didn’t truly appreciate how lucky I was to be able to do so. This donation is a tribute to Dainere’s 21st in the hopes that more children with brain cancer will be able to get to their 21st. Heavenly 21st birthday wishes to Dainere. 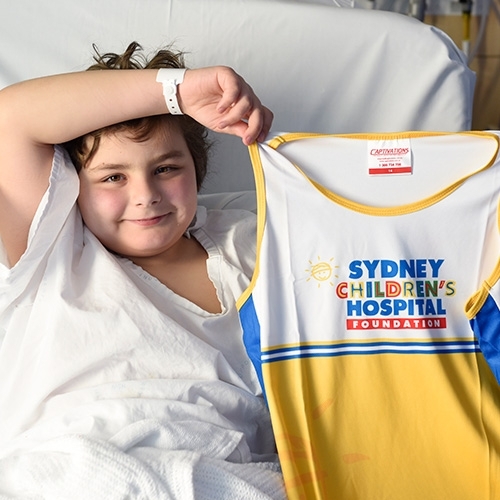 On the anniversary of the day Dainere was first diagnosed with a brain tumour. What an incredible legacy you have left the world. Sorry we could not come along to the ABBA Choir Fundraiser, we would like to make this donation for Christmas to make a difference. Thank you for all you do. It was lovely seeing you at the Burgmann School Fair.